Multi-joint Personalized Soft Exosuit Breaks New Ground from Wyss Institute on Vimeo. 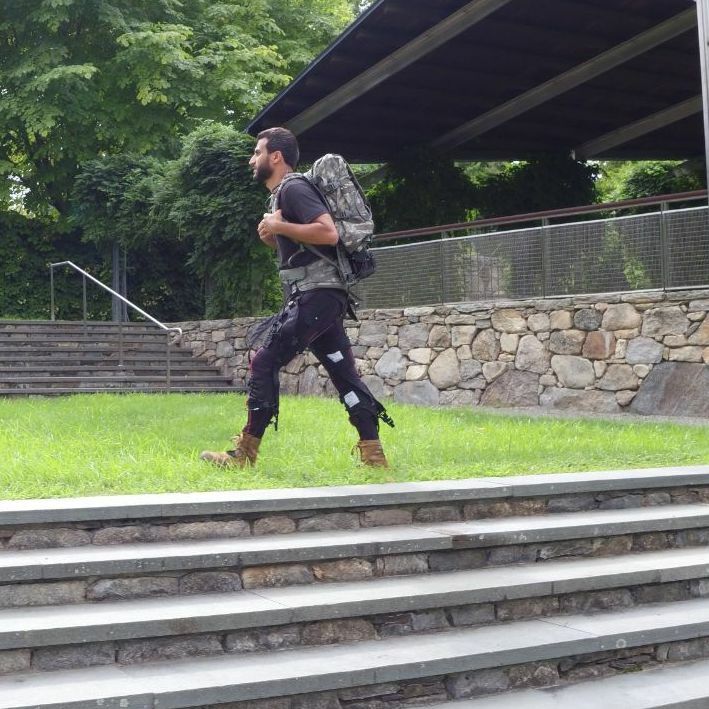 In the future, smart textile-based soft robotic exosuits could be worn by soldiers, firefighters and rescue workers to help them traverse difficult terrain and arrive fresh at their destinations so that they can perform their respective tasks more effectively. They could also become a powerful means to enhance mobility and quality of living for people suffering from neurodegenerative disorders and for the elderly. Conor Walsh’s team at the Harvard John A. Paulson School of Engineering and Applied Sciences (SEAS) and the Wyss Institute for Biologically Inspired Engineering at Harvard University has been at the forefront of developing different soft wearable robotic devices that support mobility by applying mechanical forces to critical joints of the body, including at the ankle or hip joints, or in the case of a multi-joint soft exosuit both. Because of its potential for relieving overburdened soldiers in the field, the Defense Advanced Research Projects Agency (DARPA) funded the team’s efforts as part of its former Warrior Web program.